A gold cage pendulum with pentacle adornments. 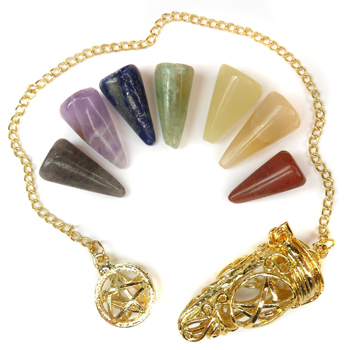 Cage opens so you may insert one of 7 chakra stones. Comes with a velveteen pouch.